Brent Seabrook, a native of Tsawwassen, attended school in South Delta and grew up playing his youth hockey in Tsawwassen. Brent played minor hockey with the Pacific Vipers. After being drafted in the first round of the WHL Bantam Draft, he went on to play his major junior in the Western Hockey League with the Lethbridge Hurricanes, enjoying two successful seasons before being drafted by the Chicago Blackhawks as the 14th overall pick in the 2003 draft. Following the draft, Brent spent two further seasons playing for Lethbridge before being assigned to the Norfolk Admirals, Chicago’s AHL affiliate, for the final 3 games of the 2004-2005 season. Brent is now playing in his fifth season for the Chicago Blackhawks. In 2008-2009, he led Chicago with 224 hits and 113 blocked shots and ranked fourth with a +23 plus/minus rating. Brent led all Blackhawks defensemen with 12 points while appearing in all 17 games during his NHL playoff debut. In 2007-2008 he skated in all 82 games and ranked second on the squad with a 21:29 average time on the ice. Brent is already a veteran of International competition. As a Canadian junior team member, Brent competed in the 2004 World Junior Championships in Helsinki, Finland, bringing home a silver medal. He followed that up a year later with a gold medal in a victory over the Russians, the first gold medal Canada had earned in 5 years. After his rookie season in Chicago, Brent made his senior debut with Team Canada at the 2006 World Championships in Latvia. On December 30th, 2009, it was announced that Brent would represent Canada at the 2010 Olympics in Vancouver. He notched one assist in the tournament and would help Team Canada overcome the United States in the final, 3-2 in overtime. 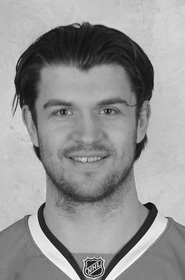 Brent Seabrook has a growing reputation as a first-class NHL defenseman and Canada Team regular. His steady play in Chicago has helped the Blackhawks to third overall in league play in 2009-10, and his play in the Olympics was instrumental to the gold medal success in Vancouver.